Remember the LCDfrom 4th grade math? Cut the budget for music. Cut the budget for altar flowers. 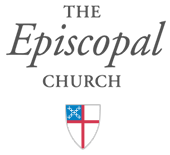 Eliminate any budgetary support for Episcopal seminaries. Cut the payment to the diocesan assessment. Reduce the priest to half time. Eliminate the parish administrator’s job. Reduce the priest to quarter time. Stretch the timeline on the roof replacement for 5 more years. Read Morning Prayer once a month when the part-time priest is off. Read Morning Prayer twice a month when the quarter time priest is off. Sell the Tiffany Stained Glass windows to an art dealer. Replace with clear glass. Sell the diamond-encrusted chalice that is only used on high holy days. Hire supply a supply priest twice a month and pay them per diem and mileage and read Morning Prayer on 2 Sundays. Hire a supply priest once per month and read Morning Prayer for 3 Sundays. One wonders, as this diminishment goes on, “What is the LCD? What’s the limit?” At what point does a congregation realize that it has reached the limits of its viability and that survival by means of the LCD is just not good enough? It is deflating, this decline to the LCD. It is not like math, where arriving at the LCD allows you to do greater things, like adding and subtracting fractions and working equations. In the Church, when we arrive at the LCD, it allows us only to chug on at the most dispirited pace and with a mindset focused on scarcity. And, while done in good faith to preserve what has been glorious, arriving at the Ecclesiastical LCD ends up to be discouraging, even if it sometimes goes unsaid. Do not confuse arrival at the parish LCD with simplicity. I love simplicity in worship. The clarity of silence. The purity of unison, acapella singing. A wooden table, a basket of bread, a carafe of wine. Prayers read from our prayer book with space between the words to allow the Holy Spirit to weave in and through our thoughts. It is a holy space when we worship God in reverence and awe, no matter how fine the linen, how long the procession or how elaborate the vestments. Simplicity is honest and good. Arriving down a long slope to the LCD of church, though, is a call for frank conversation and a re-awakening to our purpose. We’ve worked hard at fixing things in the church for the past 20 years or so as things have begun to change. We’ve worked to increase stewardship, make our parishes more inviting, find the most appealing hour to offer Sunday School, tested out contemporary worship styles, new sermon styles, newcomer programs and adult formation. We’ve done a very good job, many of us, in meeting our neighbor’s needs and providing the space for God’s transforming love to work on our hearts. And for those who have grown and prospered, we are glad. For others, it is perhaps time to look around and stop trying to fix things that cannot be fixed and to stop paring away at the life of the Church to arrive at the LCD. It is time to open ourselves to new ways of being Christ’s community- new ways that we will only imagine if we let go of some of our old dreams and boldly reach out to each other- in collaboration, in fellowship, and in the spirit of cooperation. God will guide us, keep us, and save us. There is mercy and grace. And in that, there is hope. What do you think of the LCD? Vivid memory of the first priest called to St. Luke's, Altoona, after the longtime, much beloved priest left. And the first thing he wanted to do: sell the Tiffany and other stained glass windows and replace with clear glass. And this when St. Luke's was thriving. He lasted 8 months…. I am an aesthete. There is nothing more than I love than an amazing choir, great organ music, a beautiful sanctuary, incense, beeswax candles. Wearing a heavily brocaded and lovely chasuble is such a gift. And when it is done with available resources to glorify God, then bring it on. I also can sit in a contemplative prayer circle in an empty room with 3 other people in silence for a half hour and know that in that, God has been glorified, as well. It is the scarcity mindset that leads to survival at all costs that is difficult for me.